Jazz music has always inspired me to do something but I can never quite figure it out! It may sound odd to some, but it gives me this wealth of energy and inspiration that I feel unable to organise or act upon. Should I try to compose a jazz melody, does my mind want to hear more jazz composers, should I arrange something jazzy for cello? I’ve attempted each of these, but alas none have worked out or taken off. Perhaps this tangible lovey, gooey, jazzyness I hear need not be touched by my innocent classicalised mind! Perhaps I should try to feel the wealth of sound and colour and not worry about having to recreate it or put myself into it. These phases of jazz obsession happen to so many of us- why am I not content with simply listening and accepting. I can’t ‘do’ jazz, but I feel jazz, understand jazz and bloody love jazz! Ready to be discovered, unwrapped and cherished. http://youtu.be/GNc6qTwC7OY I’ve never experienced a relaxed performing experience. It’s always been a matter of hoping and praying that practice will have been enough and that my performance will be a quarter as fluent as it was in practice. This has really frustrated me. How is it fair that I become a completely different musician when I’m under pressure or on show? It isn’t! I was determined to find a peace of mind in order to perform with a clear head and free body. I wanted the opportunity to trust my abilities and express all the love and emotion in the music whilst leaving all my anxiety behind. I’m sure every musician can relate that this is far easier said than done! However often we vow to trust ourselves or ‘let go’,it becomes more and more difficult as we focus on ourselves. The past few weeks have taught me many valuable lessons about my anxieties and how to control them and I thought my findings could prove useful to others. I think it was made clear to me by my mother at first that my performance anxiety was a result of an obsession I had with myself! This was a huge wake up call and scared me quite a bit… I realized that the performance hadn’t ever truly been about my love of the cello or beauty of the music. I’d always had myself at the center of the performance and played to impress rather than to enjoy. I’d imagine the reaction of the audience if I’d played well and focused on what success I could enjoy. Of course, even if I’d played well, I never felt truly satisfied with myself. My mum reminded me that “I shouldn’t be about you in that moment, your thoughts and feelings don’t matter. You aren’t the most important part- the composers’ music is what you’re communicating, not your anxieties or fears”. This message was a huge wake-up call. Nonetheless, I was certain to convert these thoughts and realizations into a mindful performance technique. I firstly vowed to play for the composer and not for myself or my mother. 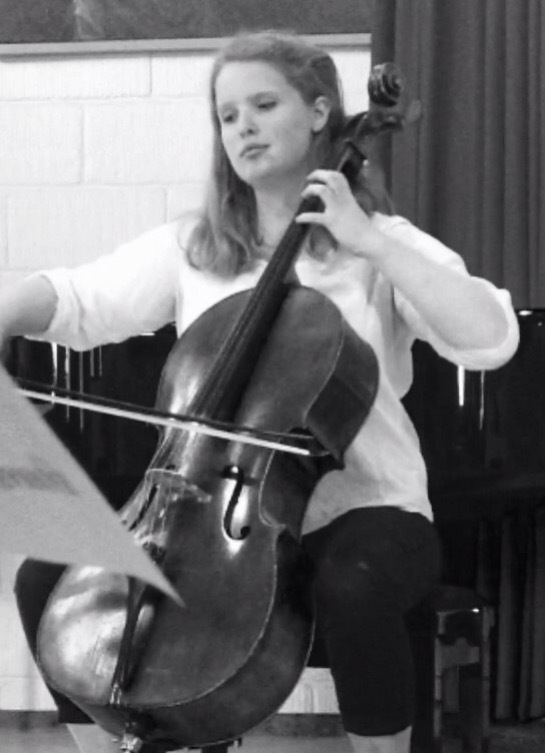 In my performance at the end of my music course last week, I was performing the Prokofiev cello sonata. I felt nervous at the back of my mind but knew I had all my ideas together about the piece and wanted to express my specific interpretation. I said to myself “you’re playing for Prokofiev- you’re lucky enough to be the messenger of this fabulous piece from the composer to the audience. You’re taking them on this journey of different emotions. YOU DO NOT MATTER!” I had completely removed my anxious emotions out of the equation, realizing they would do nothing for the music, only tear my playing apart. I walked out into the concert hall and felt very little fear. 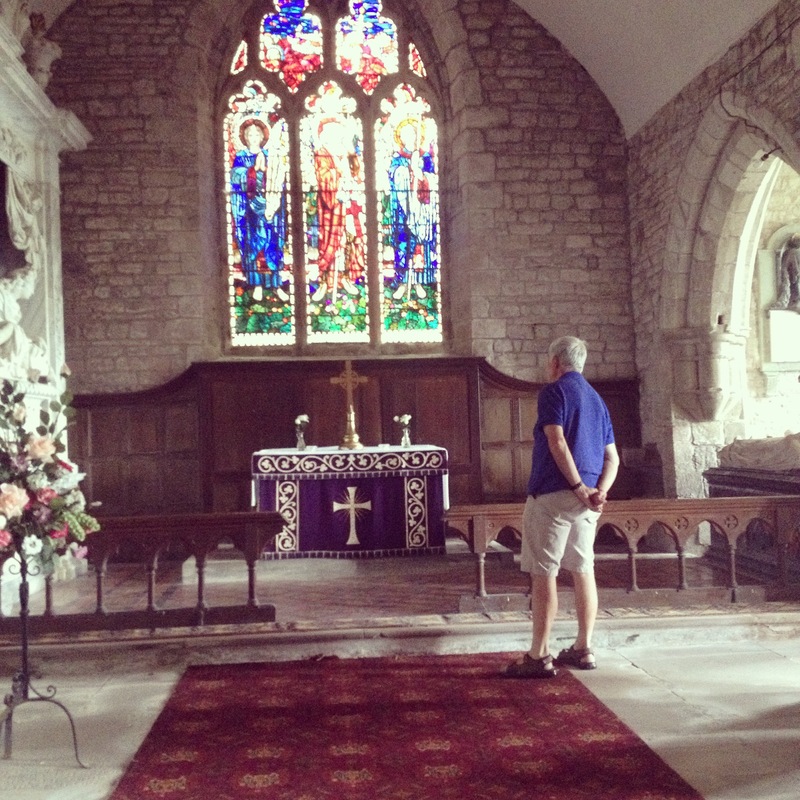 I was pleasantly surprised at my calm and genuinely felt as though I was in my practice. I didn’t experience bow shake or jamming fingers, as I have many times before. Instead I felt able to listen to my music and really enjoy my role as messenger. I didn’t feel the need to judge my performance. I knew for the first time I had played as well as I could have done. Of course some things still went wrong but these small things I had never quite perfected in the practice room so this didn’t bother me. I knew that ultimately, it certainly didn’t bother the audience! I don’t know whether the audience sensed my peace of mind but I do hope they felt the music as much as I did. I know it will take further practice and faith to maintain this mindfulness and performance calm, but I feel as though for the first time I know it is possible. Why should an audience of music lovers (usually!) cause me to play with such little love and trust? It’s not logical. I hope I’ve been able to offer a different perspective for some other musicians and performers and wish you all well on your journey to calm and mindfulness. I hope my story can at least give you faith that this peace of mind is possible. You all have the power to perform how you want to, perhaps sometimes we all just get in the way of the music! I’ve written a short poem about my image of the performers’ role. I will post it as a separate post.